Enlisting ACCESS Napa Valley as your preferred wine tour driver & concierge service begins here. Upon receiving your request, we will confirm availability for your tour date(s) and reach out with a phone call to begin our conversation and secure your reservation with a credit card. Would you like to emphasize specific varietals? 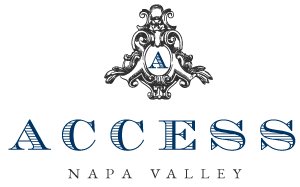 ACCESS Napa Valley is a boutique private luxury wine tour & concierge service, founded for purpose of offering discerning wine country visitors an elevated level of hospitality and access to Napa’s most off-the-beaten-path wine tasting experiences. Copyright © 2019-20 ACCESS Napa Valley | Private Napa Valley Wine Tour Driver & Concierge | TCP# 33953 | All Rights Reserved. The Matheson Pro Theme by bavotasan.com.